Pakistan Thalassemia Center Islamabad is the first dedicated thalassemia center of Pakistan. The tertiary care hospitals of Pakistan do have small thalassemia units inside the hospital where blood is transfused to the affected children. 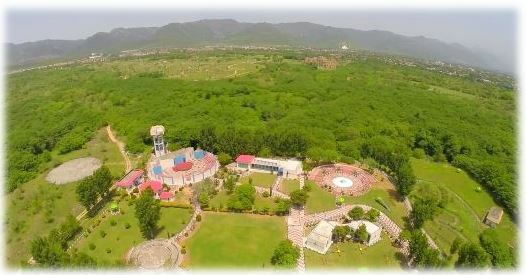 But Pakistan Thalassemia Center Islamabad which is located inside the beautiful F-9 Park of Islamabad is the first of its kind which is built only for the thalassemic children. Pakistan Thalassemia center is equipped with latest laboratory and patient care facilities. In the Pakistan Thalassemia Center, the affected children are transfused with blood free of cost and they are also provided with necessary medications. Barrister Abid Waheed Sheikh who is the Managing Director of Pakistan Bait-ul-Mal came up with the vision of developing a dedicated Thalassemia Center in Pakistan in the Mid of 2014. "When i announced that i was going to start a thalassemia center. Every body told me that this is a difficult task, don't do it, you will fail. But at that time Dr. Javeria had given a very beautiful statement. She told me, "Barrister Abid you have done a great work for the children. Don't worry how will it run?. Leave it to God. God will take care of these children and will help you and He will make wayouts". and she was right, People are coming voluntarily and are donating blood. We are getting 100s of blood donations from each camp. and Yes God is helping us and He is Making Ways, and He is taking care of these children", Barister Abid Waheed said on an event of Blood Donation Camp at Islamic International University Islamabad. The blood for transfusion came from the volunteer donors. Parents don't have to worry for the blood anymore. These children depend on blood donors for their lives. Their parents have to beg for the blood from others each time. When Barrister Abid Waheed realized that, he holds the hands of the poor parents and made an extra ordinary thalassemia center inside the heart of the Capital of Pakistan.
" I (Dr Adil Ramzan) am feeling very happy and obliged that Barrister Abid Waheed sheikh has added me to his team and provided me with an opportunity to work for the betterment of these children. and I wish that May God keep helping Barrister Abid Waheed Sheikh to carry on his visions of serving the humanity"
Pakistan Thalassemia Center F9 Park Islamabad provides a hope to the affected children. The children has been given a hope that they are not alone, there are people like Barrister Abid Waheed Sheikh who aim to help them and who think about them. Their Parents are not alone. There are people who hold their hands and make their difficult journey easier. 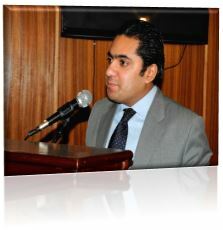 I wish that May God keep helping Barrister Abid and keep his morale high. The task is very difficult, but nothing is difficult for God. Those who are reading this and if they are capable of giving donations in term of cash, blood, medicine or equipment, shouldn't wait and should make their contributions in this sacred task. Your Single drop of blood or even a penny will give a breath to these children.